This game immerses the player into a world where evolution is not only the driving factor but where it is actually experience-able in action. You control an army of Bots to explore and conquer a distant planet otherwise too far away to reach by human space travel. Because the mission planners could not foresee everything, they send a spaceship that builds bot that obey the laws of evolution: Inheritance, Variation, and Natural Selection. You can only play this game successfully if you understand evolutionary mechanisms. Instead of frontal teaching, this game immerses the player and instead of making things explicit, here the player learns the evolutionary mechanisms by exploration. Players control the bots (“warriors”) with standard Real-Time Strategy controls. Left-clicking on units selects them, then right-clicking on the terrain gives them the order to move. Here, the bot is commanded to collect resources while automatically avoiding obstacles in the terrain. E&C will feature NVIDIA’s PhysX physics engine, which comes packaged with Unity3D. In E&C, physics will play a large role in the nanobots’ interactions in the world. 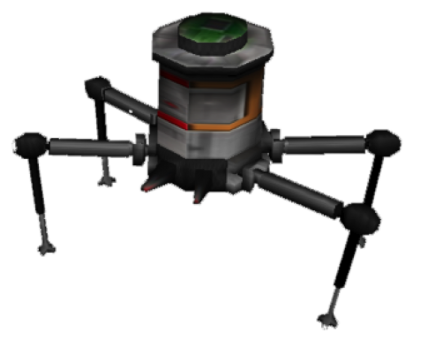 Nanobots will have to adapt to challenging physical obstacles such as physical barriers, wind, mud, rockslides, and even meteor showers. Beyond the physical environment, bots may be forced into direct conflict with alien species. This video demonstrates the combat system, where the bots are ordered to attack the hostile alien species. In battle, only the strongest species survive. Thus, the bots experience survival of the fittest. Of course, the bots must be able to reproduce in order to evolve. This video shows how bots reproduce. Whenever the bot consumes three resource cubes, it is able to produce an offspring. Here, an army of bots are producing offspring en masse. Each offspring inherits the traits of its parent, though some of the offspring experience slight changes (“mutations”) and become larger, faster, stronger, etc. 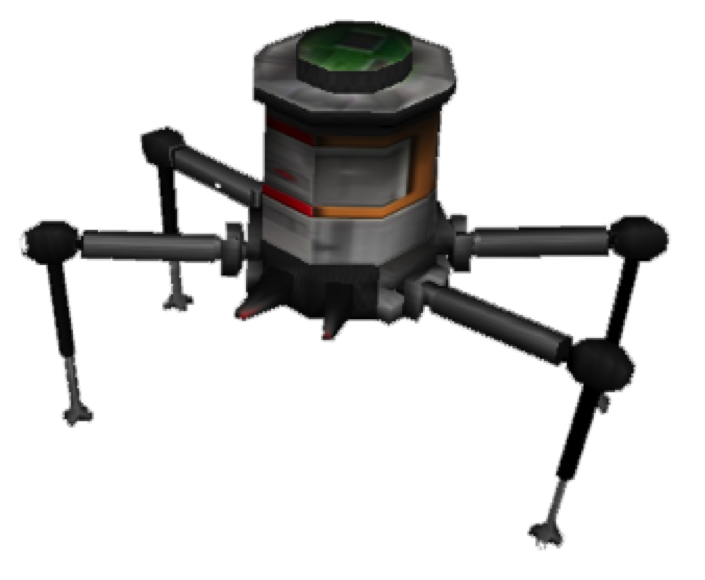 Not only do bots have to weather a hostile physical environment and survive combat with alien species, they have to compete for limited resources to reproduce as well. In this video, two bots forage for resources and reproduce after they have gathered 3 resource cubes. In this case the larger, faster bot outcompetes the smaller, slower bot. If you don’t feel like micro-managing the forage-and-reproduce process of your bots, you can order them to automatically forage and reproduce by themselves. In this video, a smaller, faster bot competes for limited resources with a larger, slower bot. If we let this run for an extended period of time, the faster bot would sweep the population. Thus, E&C is a full-fledged simulation of evolution by natural selection. Feel free to leave feedback on this page. We hope to have a public playable demo soon, so keep an eye out! The game is still under development. Please feel free to download the demo version for OSX.